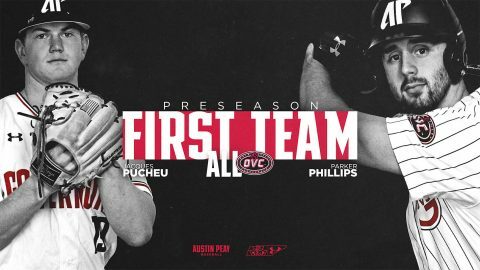 Phillips, of Collierville, earned his first All-OVC honor and finished 2018 as the league’s home run leader. Astoundingly, he did the bulk of his damage against league foes, belting 17 of his 19 home runs in the 27 OVC games he played. Phillips’ .943 slugging percentage in league play was an impressive 171 points better than the second-ranked player in the league. In addition, his 44 RBI in league play was second-most in the league.